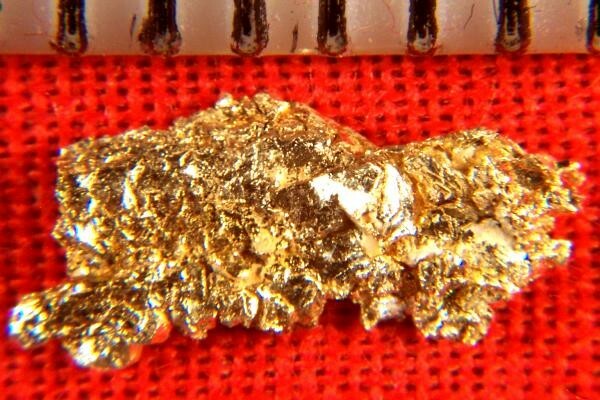 This is a very pretty natural crystalline gold nugget from Round Mountain in Nevada. 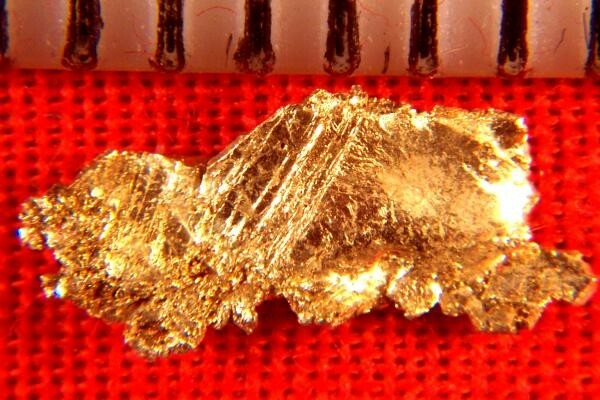 Crystalline gold is rare and hard to find for sale. It weighs 3.3 Grains (0.21 Gram) and it measures 3/8" (10 mm) long. It has some unusual markings and gorgeous color. It is thin and has a very large surface area for the weight. A unique and gorgeous sample of Round Mountain crystalline gold.